Keylor Navas has suggested that his future will lie at Real Madrid after being returned to the Real Madrid XI as Zinedine Zidane dropped Thibaut Courtois for his first game back. Having spent many windows courting the Belgium goalkeeper, the Blancos finally got their man in the summer of 2018. 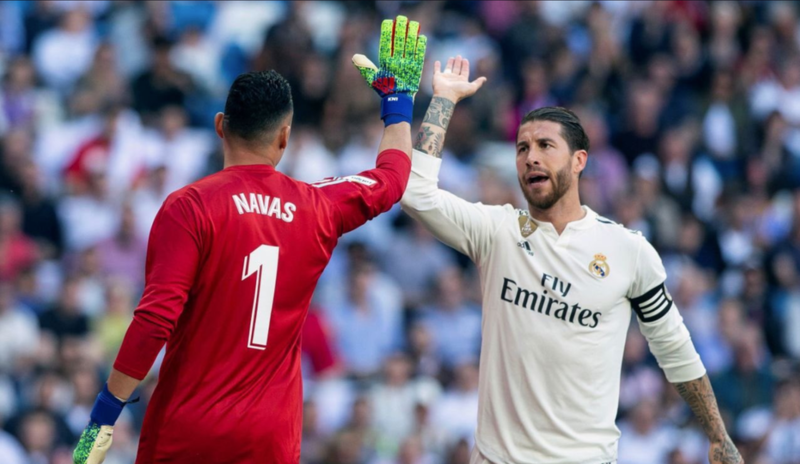 Courtois’ arrival at the Santiago Bernabeu saw Navas nudged down the pecking order, with transfer speculation sparked as a result. But the Costa Rica international nevertheless committed to a 12-month contract extension this season and is back in favour under Zidane. Navas told reporters after being recalled for a 2-0 win over Celta Vigo: “I've always wanted to be here. “That's the way it's been. I always try to give my best. Navas added: “I like to live in the present. If you think about the future, you lose perspective of the present. The shot-stopper could now stake a serious claim to becoming Madrid’s first-choice keeper once more. He will be giving his all in that quest, saying: “I am very grateful because today I played again after a long time in La Liga. “Nobody knows what the future holds. Navas is aware that there was plenty of uncertainty surrounding him in the summer of 2018, and again over the winter, but he concedes that things could be very different 12 months on. He will continue to take things one game at a time through to the end of the campaign, with there no decisions on be made on where he playing in 2019-20 at this stage. “The situation is now, and in the summer it was summer,” he said. “I want to be here, I always wanted to be here.